How Puerto Rico grapples with its staggering debt is in the hands of a federal judge who will oversee a form of bankruptcy proceeding for the U.S. territory. Puerto Rico owes more than $74 billion dollars to both island and U.S. based creditors and over $40 billion in pension liabilities. But Puerto Rico's financial straits are far from limited to those living on the island. The process will have far-reaching impacts across the continental U.S.; here are four reasons why. Since Puerto Rico’s bonds have been tax exempt since 1917, U.S. investors and mutual funds have flocked to them through the years, and are now at risk of losing billions of dollars. Here's an example of how mainland U.S. residents are affected: More than 40 percent of the Rochester Maryland Municipal Bond Fund and the Rochester Virginia Municipal Fund are invested in Puerto Rican bonds. Funds from Oppenheimer Funds and Franklin Templeton are heavily invested in Puerto Rico. If these funds collapse, public sector retirees and employees from states that invested in them will suffer. It's expected that there will be plenty of litigation among the bondholders, as each jockey for position to collect payment. A large number of Puerto Rican residents have been moving to the U.S.
Puerto Rico has been under an economic recession for over 10 years, which has prompted more than 10 percent of its residents to move to the U.S. It's expected the island’s recession will continue, given that the Board’s fiscal plan expects to shrink the island's economy, at least for the next 2 years. This will most likely result in more Puerto Ricans continuing to migrate to the continental U.S. There are now over 1 million Puerto Ricans living in the state of Florida alone, and it is almost certain that Florida and other states will see many more residents from the island arriving to their jurisdictions in search of work and a fresh start. Court process sets precedent for other U.S. jurisdictions in financial turmoil. The U.S. Virgin Islands, another U.S. territory with just over 100,000 residents, is under a $2 billion debt. Consequently, they will be watching how Puerto Rico’s court process unfolds to determine if it is in their interests to seek Congressional protection. 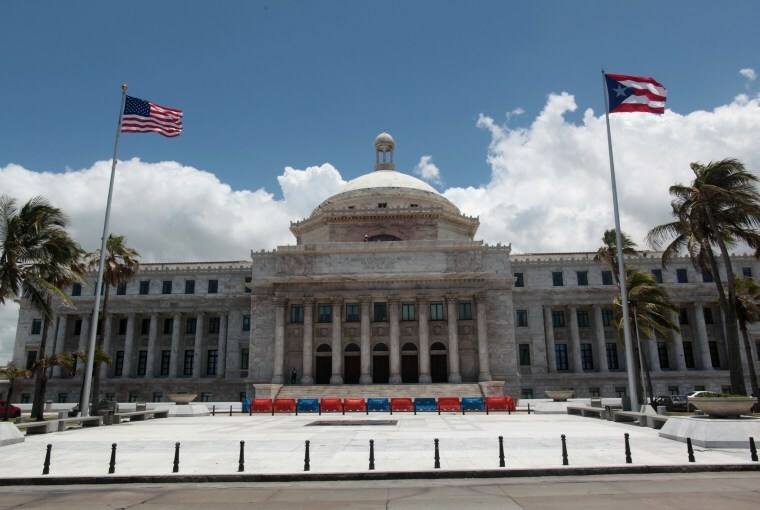 Furthermore, states with high debt or pension obligations might look to Puerto Rico’s Title III process to see if they can eventually have a similar remedy made available to them. May 17 was a historic day for both Puerto Rico and the United States, as the U.S. District Court there held its first hearing on the island's bankruptcy, thus officially starting the first case under the Puerto Rico Oversight, Management and Economic Stability Act, more commonly known as PROMESA, enacted by Congress in 2016. This law created a process combining elements of traditional Chapter 9 and 11 bankruptcies that will permit U.S. owned territories to adjust their debts. Previously, U.S. law did not give territories the remedy used by state municipalities such as Detroit to restructure their debts. Puerto Rico, an island obtained by the United States after the 1898 Spanish American War, is the first territory to use this process, expected to have far reaching implications not only for the island and its inhabitants, but also across the U.S. financial markets and pension systems. This process is regulated in Title III of PROMESA, and it's presided by New York district judge Laura Taylor Swain. She was appointed to the case by Supreme Court Chief Justice John Roberts, who, under PROMESA, is the person authorized to select the Judge. The Title III process differs from a traditional bankruptcy case in several aspects. PROMESA establishes that a 7-person Oversight Board, whose members were recommended by Congress and officially selected by President Obama in 2016, will act as the island’s representative. However, this does not mean that the Board is required to act in the island’s best interests, as PROMESA does not impose any fiduciary duties to it. It mainly requires the Board to develop a plan that helps Puerto Rico achieve fiscal responsibility and eventually regain access to capital markets. Furthermore, PROMESA gave the Board’s members immunity for all actions they carry under the Act, and they can override Puerto Rico’s laws and elected officials. Under Title III, the Board will work with Puerto Rico’s creditors to renegotiate the island’s debts. Once this is done, they will present a Debt Adjustment Plan to the court for approval. This Plan will be approved if it complies with the requirements set in Section 314 of PROMESA. This section is likely to give Judge Taylor Swain more power over Puerto Rico than she would have in a traditional Chapter 9 bankruptcy process, under which a similar plan would be approved if it “is in the best interests of creditors and is feasible”. It is unknown why this additional requirement was added to Title III. In order to protect the best interests of the creditors, the Court is authorized to allow the Oversight Board to interfere with Puerto Rico’s political or governmental powers and alter its properties, revenues or the use of its income producing properties. This Section gives powers to the Board that are unique in U.S. law, as, they appear to give it the ability to, for example, potentially dispose of Puerto Rico’s assets and properties and have a say in the way the island government provides basic services to its 3.5 million residents, even though it was not elected to do so by the Puerto Rican people. Judge Swain seemed to be aware of this power during the hearing, when she remarked that this case must lead to a “better future” for Puerto Rico. Bigger than Detroit and Argentina? Judge Swain scheduled hearings through December. In addition, the Judge issued an order yesterday requiring Puerto Rico to file a Creditor Matrix by June 30, 2017, and to file a list of all its creditors by August 30, 2017. However, this process is expected to last several years and become the largest municipal bankruptcy in U.S. history, easily surpassing Detroit’s $20 billion dollar default, and perhaps come close to matching Argentina’s historic 2001 default of over $150 billion dollars. Who will pay for this bankruptcy process estimated to cost tens of millions of dollars? It will come out of Puerto Rico's pockets, in a process that will fundamentally transform the future of the island, its obligations towards its residents and its relationship to the United States. In sum, Puerto Rico finds itself in uncharted legal waters. As this case unfolds, it will be important to see how Judge Swain and the Board protect the island’s residents and ensure that Puerto Rico can develop a sustainable economic plan to transform and grow its economy without jeopardizing its residents. Furthermore, it will be essential that Judge Swain orders a full audit of the debt as part of this process, so there can be a clear understanding of which individuals, elected officials and businesses were responsible for this financial catastrophe so they can be held accountable. Finally, in order to protect the best interests of both Puerto Rico’s and US residents, it's vital that this process and the audit of the debt moves authorities to enact legal reforms that end any unscrupulous, unethical or illegal financial practices that led to this tragic situation. Jaime Farrant is an attorney and owner of Farrant PLLC, an immigration law firm based in Washington DC.